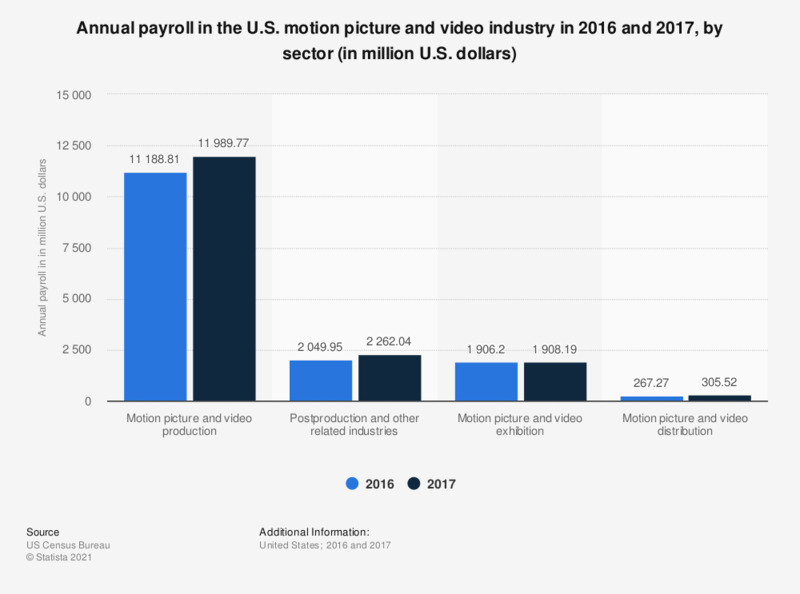 This statistic provides data on annual payroll in the U.S. motion picture and video industry in 2016. Motion picture and video distribution firms had an combined payroll of 267.27 million U.S. dollars. * Payroll includes all forms of compensation such as salaries, wages, commissions, dismissal pay, bonuses, vacation allowances, sick-leave pay, and employee contributions to qualified pension plans paid during the year to all employees. Payroll is reported before deductions for social security, income tax, insurance, union dues, etc.